As we officially head into the holiday season, the Dream Team are challenging all of our followers to be especially “Thankful and Thoughtful” during the month of November. Link your creations with this theme on the Dream It Up! blog using the Inlinkz tool and the end of this post. Our “thanks” to you is providing you with the opportunity to win the stencil of your choice, and a bonus stencil of our choosing could be yours for using Dreamweaver product(s) in your artwork. I hope you enjoy my post today. There are times I tend to over-think a project or struggle to come up with a new idea when all that is required is clean-and-simple. I struggled to come up with a creative approach to use this Dreamweaver Pine Cones Embossing Folder and finally settled on clean-and-simple and love it! 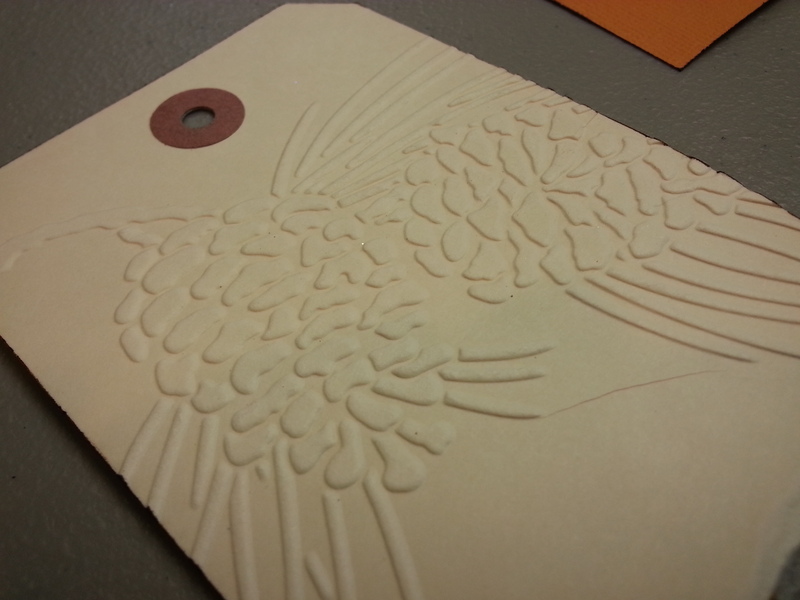 I used some Fall-colored card stock as matting for the embossed tag. I tore some of the tag bottom off so it fit on the card better then placed it in the embossing folder and ran it through the Vagabond. It embossed so beautifully on the manilla tag that it required nothing else but a little “Thank You” to go with this month’s theme. 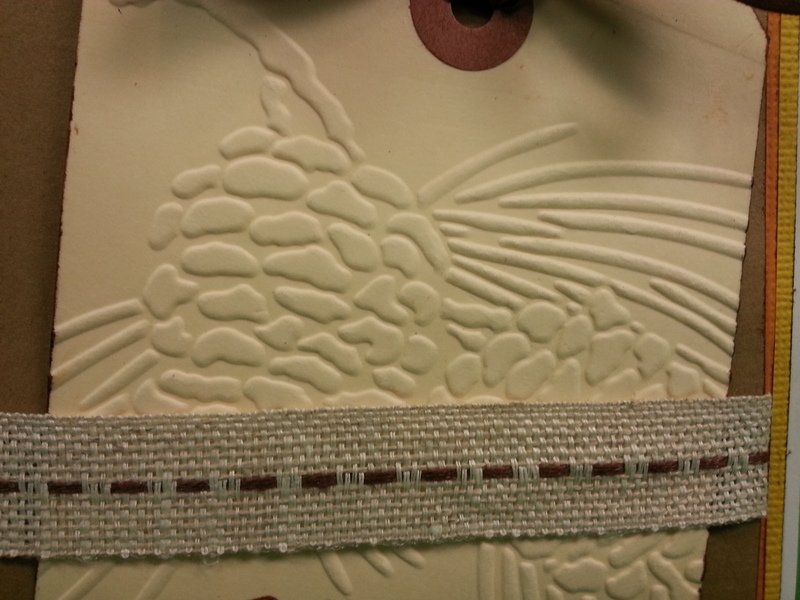 The detail that comes out in the embossing is amazing! I layered up the mats on the card front and wrapped a piece of May Arts ribbon around the top mat and inserted the tag with adhesive on the back to hold it in place. I love the simplicity of this card – how about making a set of four or five and wrap as a gift for a special someone? They make cute little Thank You notes. I thought you might like a flashback to one of my Dreamweaver guest designer posts from last year. 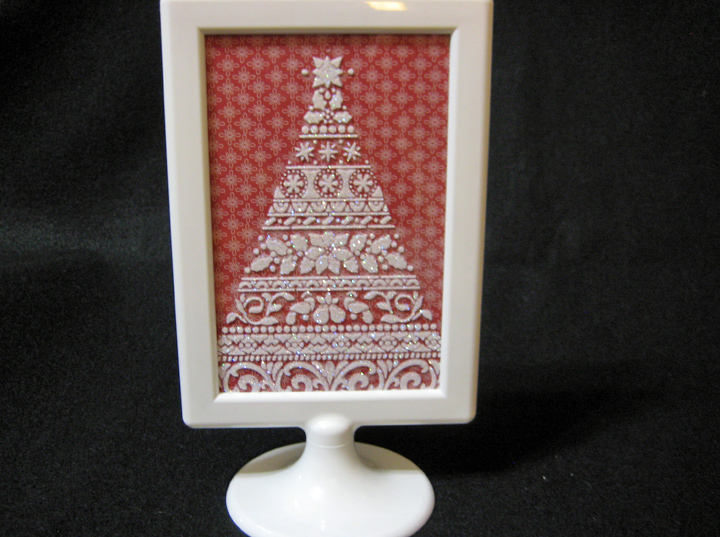 I came across this adorable little Christmas decoration when unpacking holiday decorations this week. Here’s the link for the how-to information: Quick and Easy. By the way, the Dream Team are very thankful when our followers are thoughtful enough to leave us a nice comment on our posts! Here’s the “A” team lineup for this week. 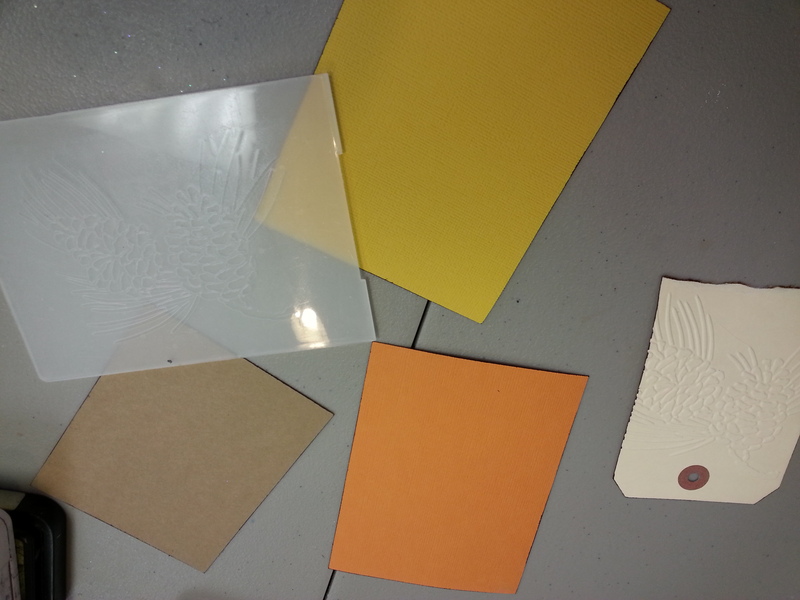 Love this embossing folder and card! What a sweet card. I love the colors and the framed tree is so pretty. 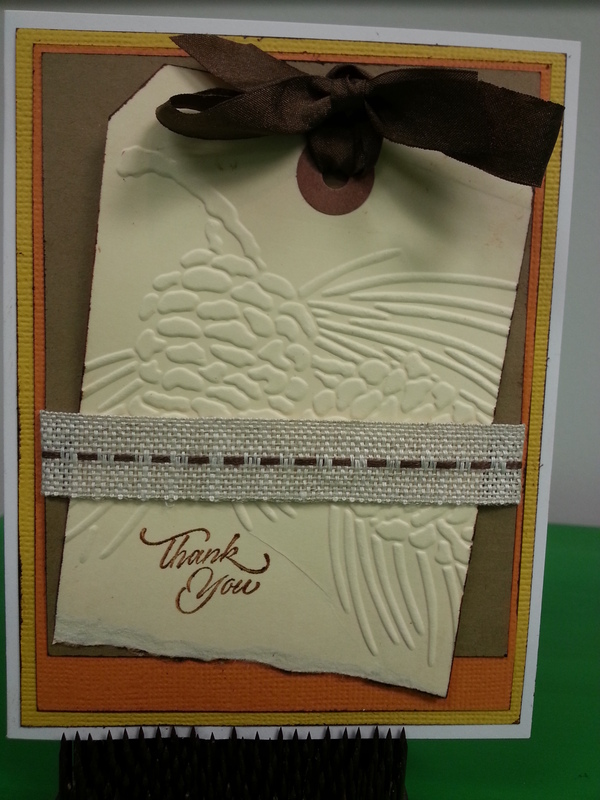 Love the simple homespun feel of this card, Linda! Thanks, Pam! I do too!